We use the bush as our school and as our playground, says one of the many Aboriginal and Torres Strait Islander people whose voices combine in this anthology of true stories about childhood, compiled from a wide range of memoirs and oral histories. Alongside reminiscences of getting bush tucker, going fishing and taking part in ceremony, there are descriptions of playing games, building cubbies and having fun. The warmth of home, the love of family and the strength of community shine through every story. Freedom goes hand in hand with responsibility, while respect and sharing are constant themes. The eighty Elders - both past and present - who have contributed their words or artwork to this book include many prominent community leaders, educators and artists. Their life-stories span the twentieth century. Just as important are the contemporary stories told by twenty secondary school students. Although some of these young people now make their home in the city, their connection to traditional country remains the source of learning. As we listen to these stories that come from country and from inside the heart, we find wisdom that could help us care for each other and for the land where we all now live. 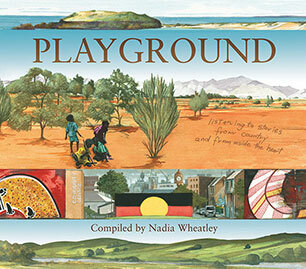 NADIA WHEATLEY, the compiler of Playground, is an award-winning author and historian whose books over some thirty years reflect a commitment to issues of Reconciliation, social justice and the conservation of the environment. Together with KEN SEARLE, the book's illustrator and designer, Nadia worked as a consultant at Papunya School (Northern Territory) during the late 1990s, when the school was developing its own two-way model of education. At this time, Ken and Nadia were privileged to experience Indigenous principles of learning in action. As part of their work, they assisted forty Anangu staff and students with the production of the Papunya School Book of Country and History, which in 2002 won the New South Wales Premier's History for Young People Award as well as the award given by the Children's Book Council of Australia for the best information book of the year. Nadia and Ken later mentored Papunya artist Mary Malbunka through the process of writing and illustrating her award-winning picture book memoir, When I Was Little, like You. 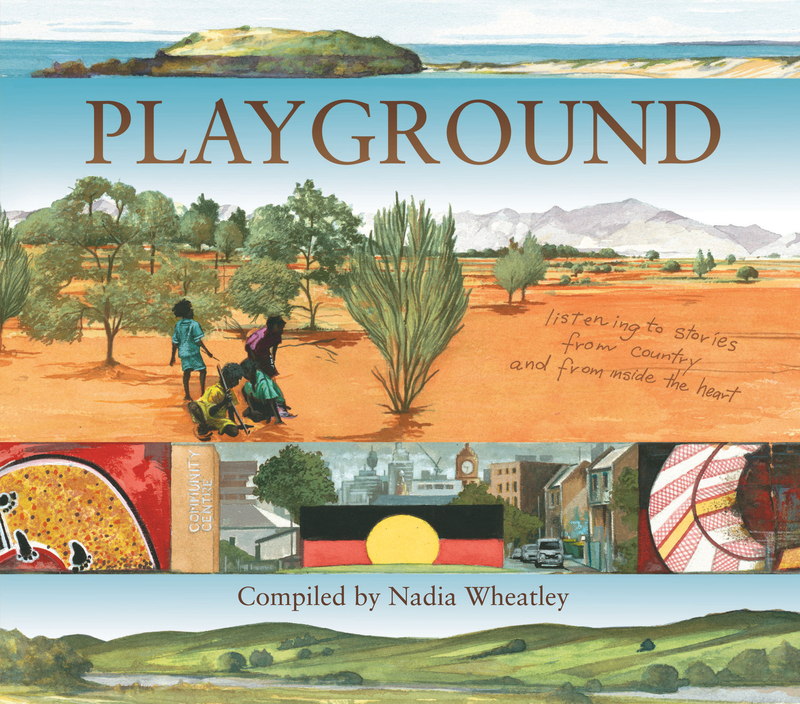 In Playground, Nadia Wheatley and Ken Searle move outwards from the centre of Australia to continue their journey of listening to Aboriginal people and learning from country. DR JACKIE HUGGINS AM is of the Bidjara and Birri-Gubba Juru people of Queensland. As well as being a renowned historian, Jackie has held leadership positions in many Indigenous organisations across the country for over two decades, and she is a former Co-Chair of Reconciliation Australia. In her role as Indigenous Consultant to Playground, Jackie acted as adviser and 'critical friend' to the book's compiler, Nadia Wheatley.